Arms make for inviting targets. If you cannot beat your opponent then just disarm him and suddenly, a difficult fight is now childs play. Do not risk life and limb in battle. Protect your upper arms and shoulders with our Gothic Molded Pauldrons! Ok, so perhaps you will not be actually risking life and limb any time soon. Very few people actually find themselves in combat against a sharp blade and fewer still have the time to properly armor themselves for the occasion. But that is not the point. The point is that if you are looking for some quality leather shoulder and arm protection, then you have indeed found it here, in our Gothic Molded Pauldrons. Made from high-quality 13/15 oz. 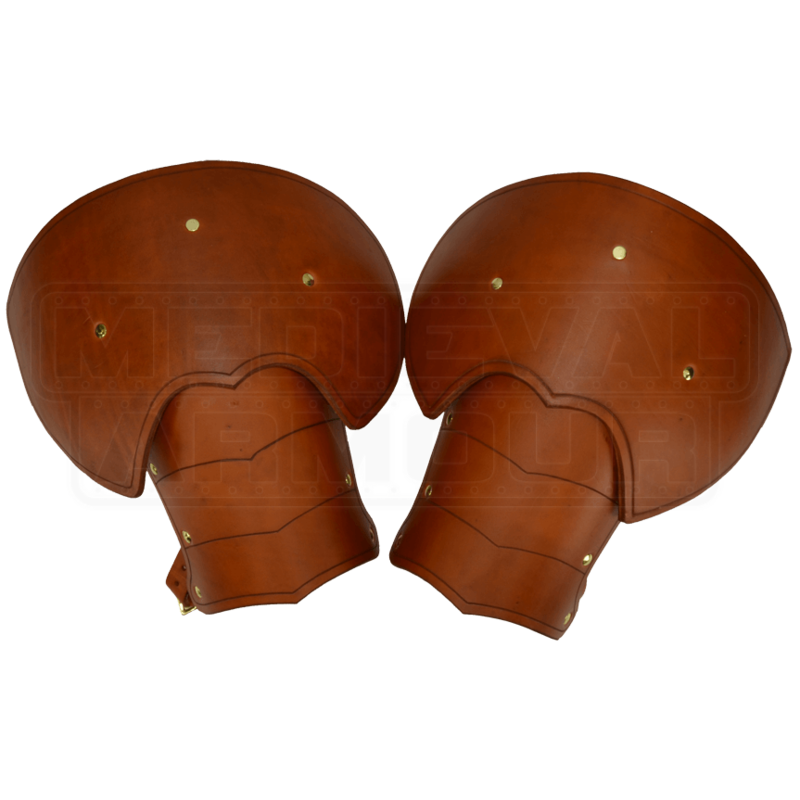 leather and designed to provide excellent defense against blows, these pauldrons will not disappoint, whether you are facing blunted steel, LARP foam, or theater replicas. The shoulders are molded and hardened to keep their shape and for added strength. Designed to be used with a cuirass or a gorget, they fit into place via a strap along the top that secures onto the cuirass or the gorget and secure to the arm with a leather strap and buckle along the lower section. Without either of these two items, some other method of securing these pauldrons to the shoulders must be used. These do not stand alone. So you may not be fighting for your life any time soon in these, but even still. 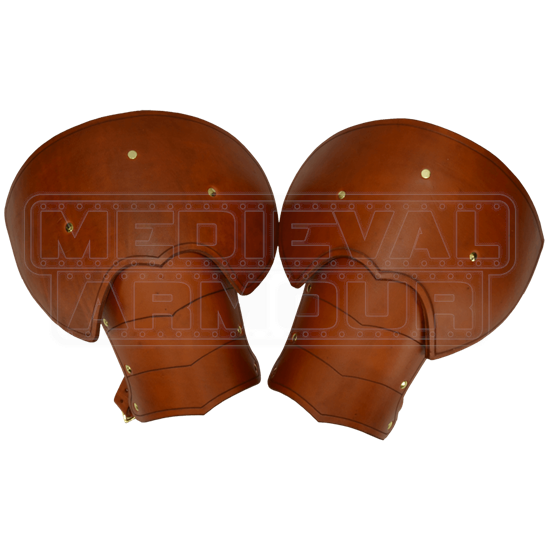 If you are fighting at all and your shoulders need protection, trust our Gothic Molded Pauldrons to provide the defense you need.